When you live on Mackinac Island you've got to be organized. For instance, a few Fridays ago I left the island after work to spend the weekend with some friends. I wanted to leave on a 3:00 boat, so going back "up the hill*" to get my stuff wasn't an option. 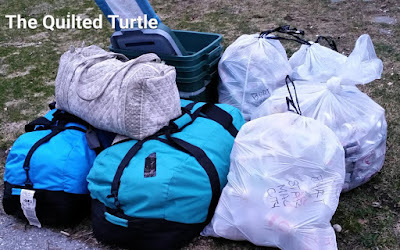 I needed to be packed and ready to go before I left the house for work at 6:00 am Friday morning, so Thursday night was all about getting ready. 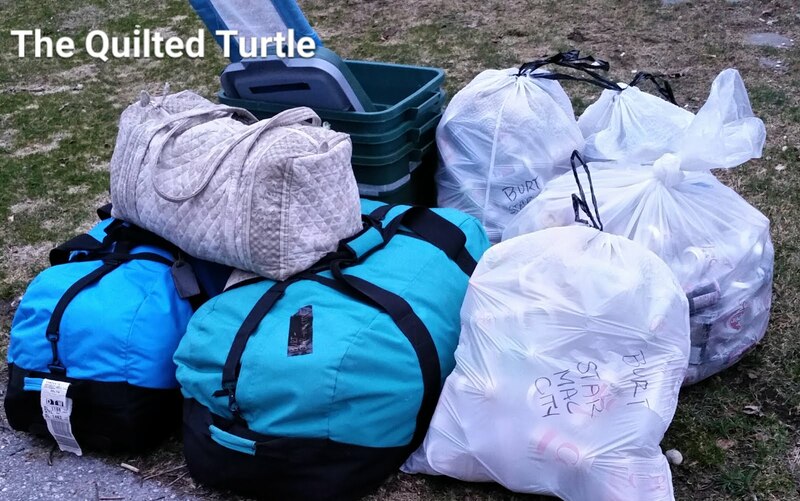 I packed up four bags of returnable soda cans ($31.10 for the vacation fund,) two big duffels of donations for Goodwill and my bag of clothes for the weekend. I also got out the tubs we use for bringing groceries home. * I live "up the hill" which means to get to my house from town it's a pretty significant up hill bike ride or walk. I'm not sure what the incline is on the hill, but it's fairly steep. The hill definitely makes you think about organizing your day so your day so you don't have to go up more than necessary.